With next generation Type-C becoming a lot more popular, the Dual Link is the perfect USB for transferring data at high speeds. 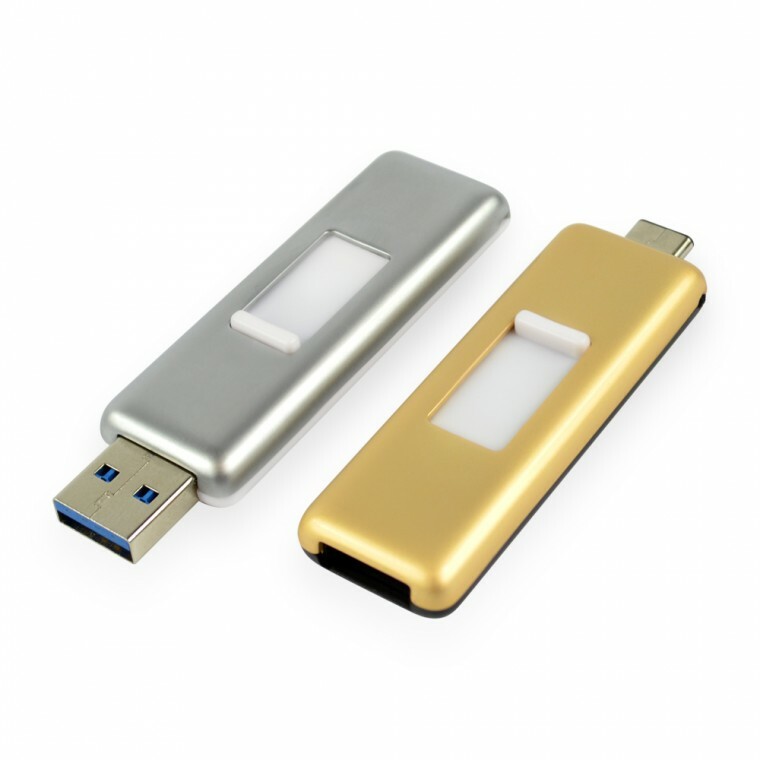 The top has a clean and simple smooth metallic finish while the bottom has a shiny premium plastic finish, perfect for branding up to 4 spot colours. 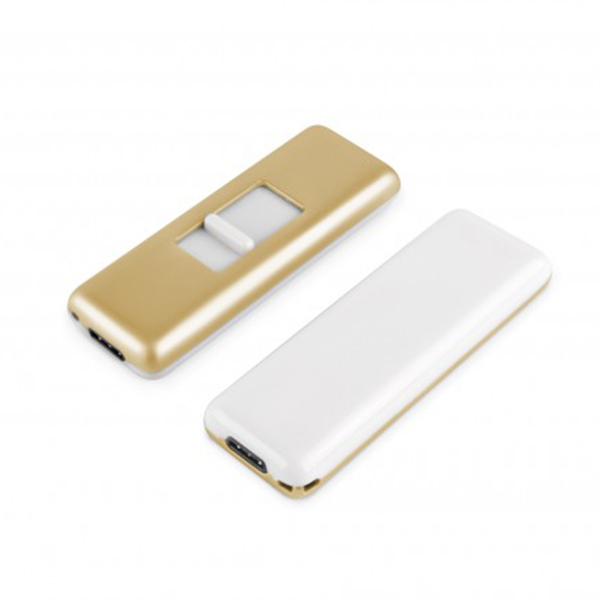 The Dual Link consists of a very simple up and down switch that pushes out either the 3.0 USB or the Type-C USB. Lead Time: Standard delivery 15 working days from artwork approval.